Abbe Waterfalls is an ideal picnic destination, located at a distance of 9 km from the town Madikeri, district headquarters of Coorg (KODAGU) district, Karnataka state, South India. The Abbe waterfalls produce a spectacular sight of cascading water, nestled amidst private coffee plantations. A narrow road winding through the green and dense foliage of surrounding coffee plantations leads to Abbey Falls. 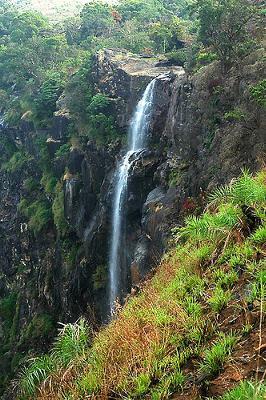 The best season to visit Abbe waterfalls is monsoon. During the monsoon, the Abbe swells with abundant seasonal rains with water plunging down the mountain slope at enormous speed.